Famed actress and octogenarian Bette Davis said getting older isn’t for sissies. But those of us over 50 also know that the second half of our lives can be a time of great emotional stability, mental acuity, wisdom and power. Even so, the physical fact of aging is undeniable, and the risk of age-related disease increases with each passing year. A billion-dollar anti-aging industry focuses on helping us mid-lifers “cope” with the “decline” in our later years, with everything from supplements to surgery. We think there’s a better way that involves honoring and supporting our bodies through the decades, with foods that address specific needs. Include at least five of the following 15 foods in your diet every day and feel younger, longer. 1. Flax seeds are high in lignans, an especially important type of fiber for women; lignans, also found in lentils and sesame seeds, help protect the body from xenoestrogens – toxic compounds found in plastics, growth hormones in meat and dairy, and pesticides that mimic natural estrogen and can increase the risk of breast and hormonal cancers. Lignans also protect against other cancers, including colon cancer. 2. Cauliflower and other cruciferous vegetables like kale, cabbage, brussels sprouts, broccoli and arugula contain di-indolylmethane (DIM), a compound that helps the body metabolize estrogen into a safer, more usable form, and can protect against breast and hormone-related cancers. 3. Kale and other leafy greens like chard, spinach, collards, turnip greens and mustard greens, are high in folic acid, a type of B vitamin that protects against cervical cancer and cervical dysplasia. Kale is also a member of the crucifer family, so it offers added protection against cancer. 4. 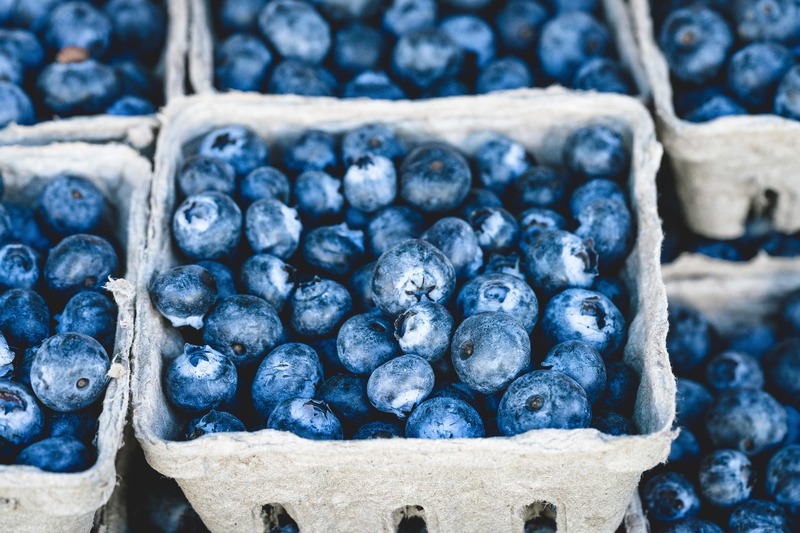 Blueberries are rich in polyphenol antioxidants that protect against Alzheimer’s, which strikes one in every six women, as well as age-related changes in brain and motor function. They also have powerful anti-inflammatory actions to reduce the risk of cancer and heart disease. Blackberries, raspberries, strawberries, cherries, cranberries and prunes are other great sources of polyphenols. 5. Wild Alaskan salmon. It’s high in omega-3 fats to help prevent mood swings and depression, especially common in menopause. Salmon also has high levels of astaxanthin and zeaxantin, hard-to-get carotenoids that help protect the eyes from age-related damage. Sardines are another good source of omega-3 fats; because they’re smaller, they’re less likely to be contaminated with toxins than larger fish. 6. Green tea is rich in polyphenol antioxidants, and contains a compound called epigallocatechin gallate (EGCG) that’s especially powerful in protecting against breast cancer and encourages death, or apoptosis, of existing cancer cells. It’s also protective against skin cancer and helps reverse the effects of sun damage, and seems to work by repairing the cell’s DNA. 7. Buckwheat helps regulate blood sugar and insulin, to protect against Type 2 diabetes; it contains a B-vitamin-like compound called d-chiro-inositol, commonly used to treat polycystic ovary syndrome, which is largely responsible for the blood sugar lowering effects. Since buckwheat is a gluten-free grain, it’s also a good substitute for wheat. 8. Cherries are powerful anti-inflammatory agents, and help reduce symptoms of arthritis and gout. The active components in cherries, called anthocyanins, help reduce the body’s levels of uric acid, a compound in the body that’s associated with arthritis, gout, kidney damage, metabolic syndrome and cardiovascular disease. 9. Garlic contains sulfur-bearing compounds that help lower blood cholesterol and protect against atherosclerosis and hardening of the arteries by decreasing the thickness of blood. It’s best eaten raw, or very lightly cooked, for maximum benefits. 10. Olives are rich in healthy monounsaturated fats, one of the few fats that lower blood lipids and help prevent inflammation. Additionally, olives and olive oil contain antioxidant compounds that may also be responsible for its cholesterol-lowering and anti-inflammatory effects. Other foods high in monounsaturated fats include almonds, avocados and peanuts. 11. Turmeric is a powerful anti-inflammatory that helps protect against the development and progression of rheumatoid arthritis, as well as Alzheimer’s and other age-related diseases. Curcumin, the active component in turmeric, also appears to have some immune-stimulating effects to protect the body against infection. 13. Tomatoes are rich in lycopene, a relatively hard-to-get antioxidant that protects against heart attack, stroke, prostate and other cancers. Recent studies suggest that other compounds in tomatoes work in conjunction with lycopene to prevent cancer, so taking a lycopene supplement isn’t as effective; eat tomatoes cooked, with olive oil, for maximum effectiveness. 14. Spinach is one of the best food sources of leutin, a carotenoid that protects the eyes from macular degeneration, the leading cause of blindness as we age. Spinach is also rich in vitamin K, which is crucial in bone health and protects against calcification of the arteries.